Each year a selection of pieces from the most recent Margaret M Scovil PBS Bead Retreat Challenge, and the PBS themed challenge are gathered to create a traveling display. To see images of the artwork and for a schedule of our latest show go our Traveling Library Display page. 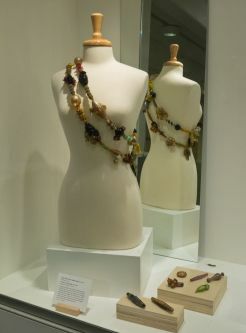 From January 15 - April 6, 2013, the Museum of Contemporary Craft (no longer in existence) presented a display of art produced by members of the Portland Bead Society. 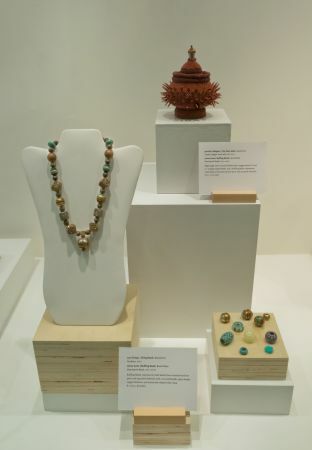 Each piece was a collaboration between a PBS member bead maker and a PBS member bead artist.